Remove the centre nerve from the leaf and cut into small pieces. 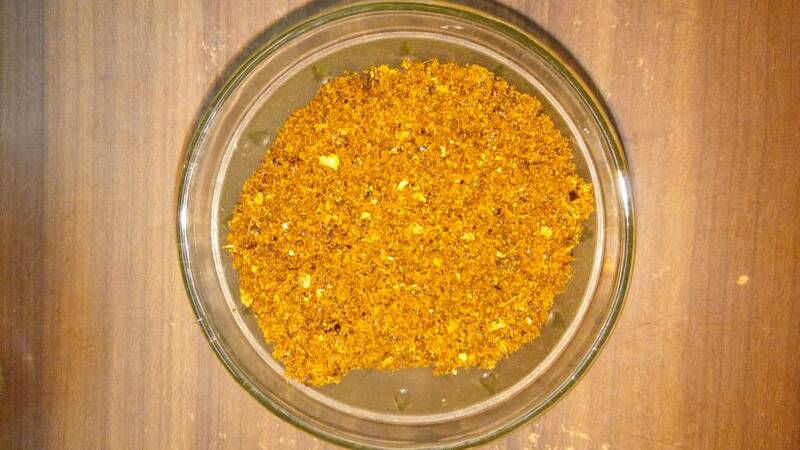 Then can be dry roasted in shade or dry roasted in an iron kadai in medium flame. Then dry roast all the other items individually and allow it to cool. Then add all the items to a mixer add salt and grind it to a fine powder. Cool it and store in a air tight container.